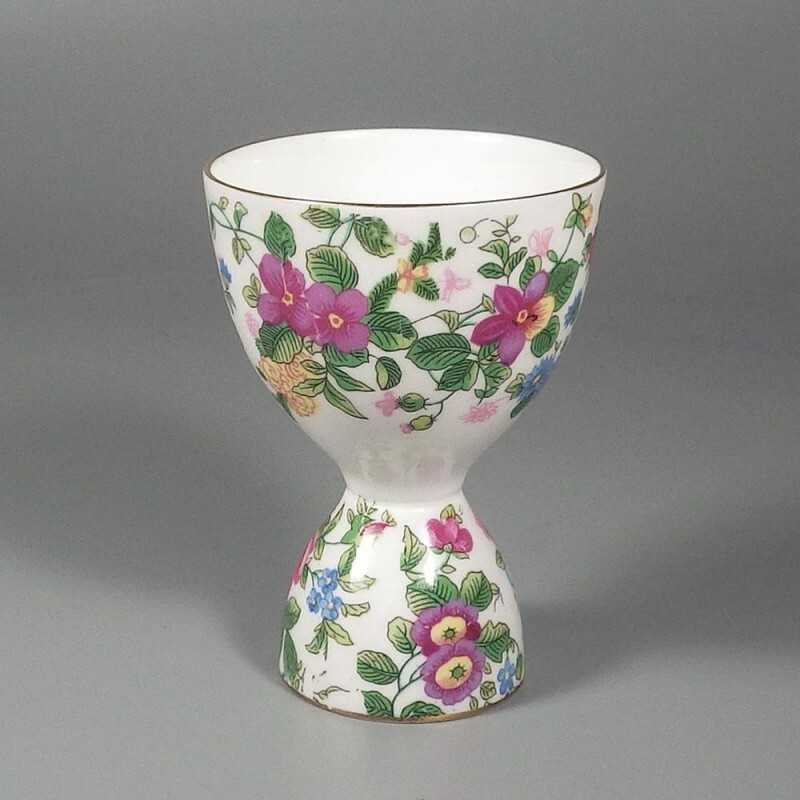 Sweet vintage Crown Staffordshire porcelain double egg cup wrapped in the Thousand Flowers floral chintz pattern, with pink roses and other wild flowers in yellow and cornflower blue. 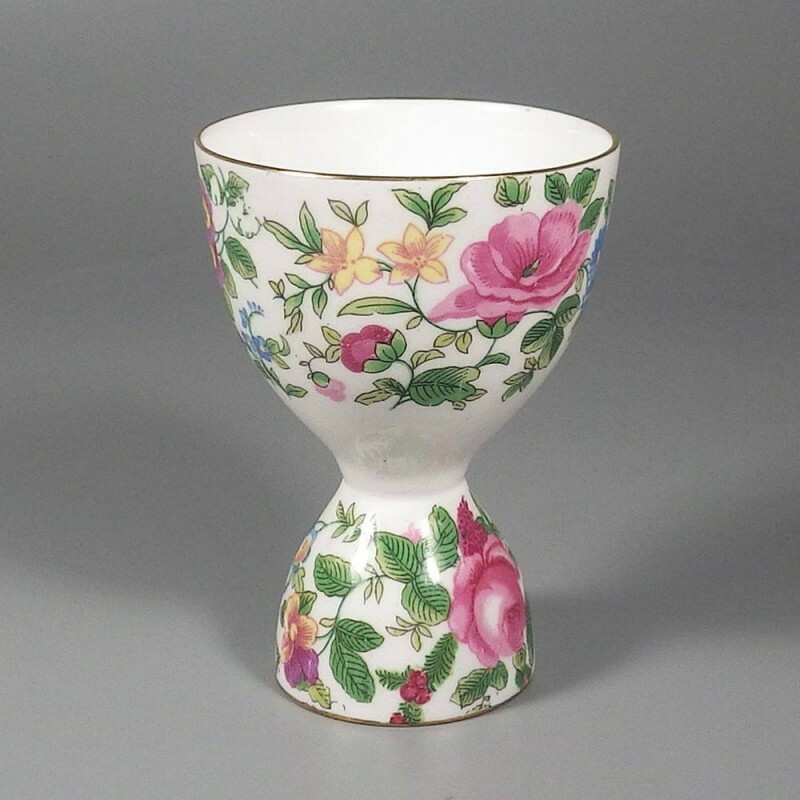 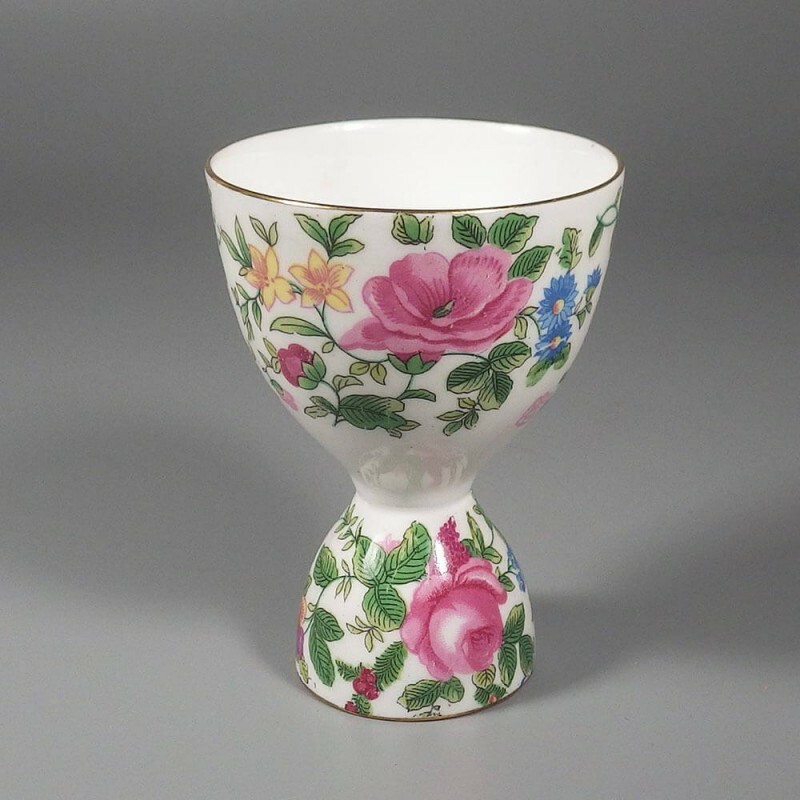 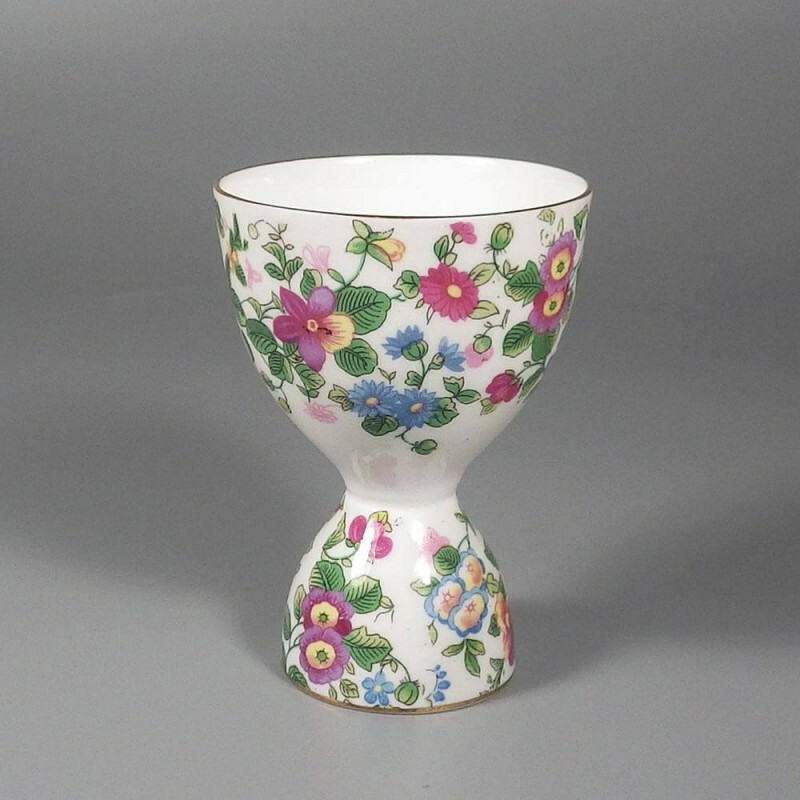 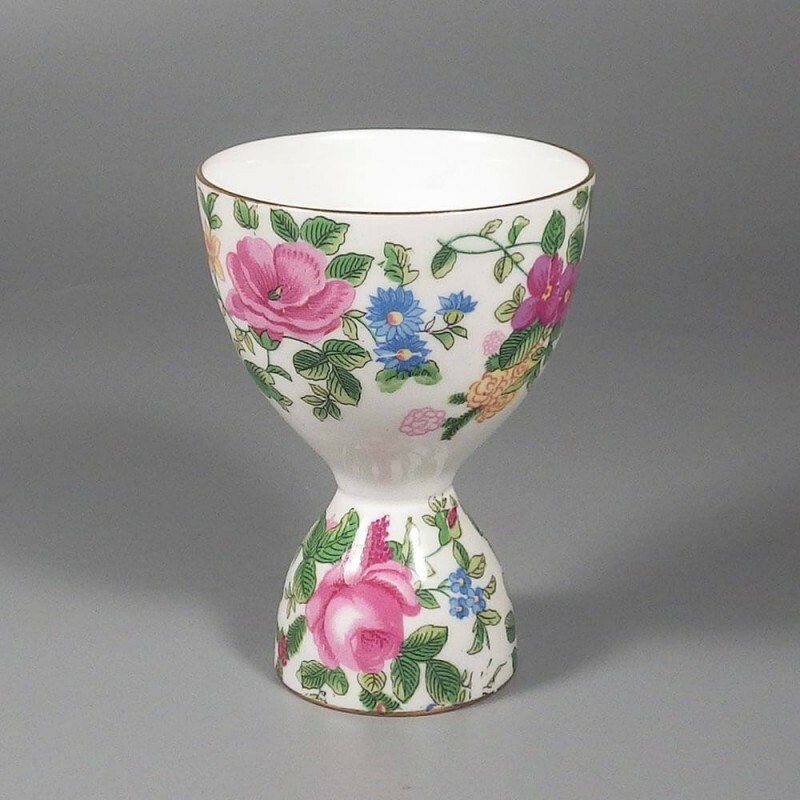 The inside base of the larger egg cup side has a petite spray of more pink flowers, while the smaller cup is marked with the Crown Staffordshire fine bone china mark. 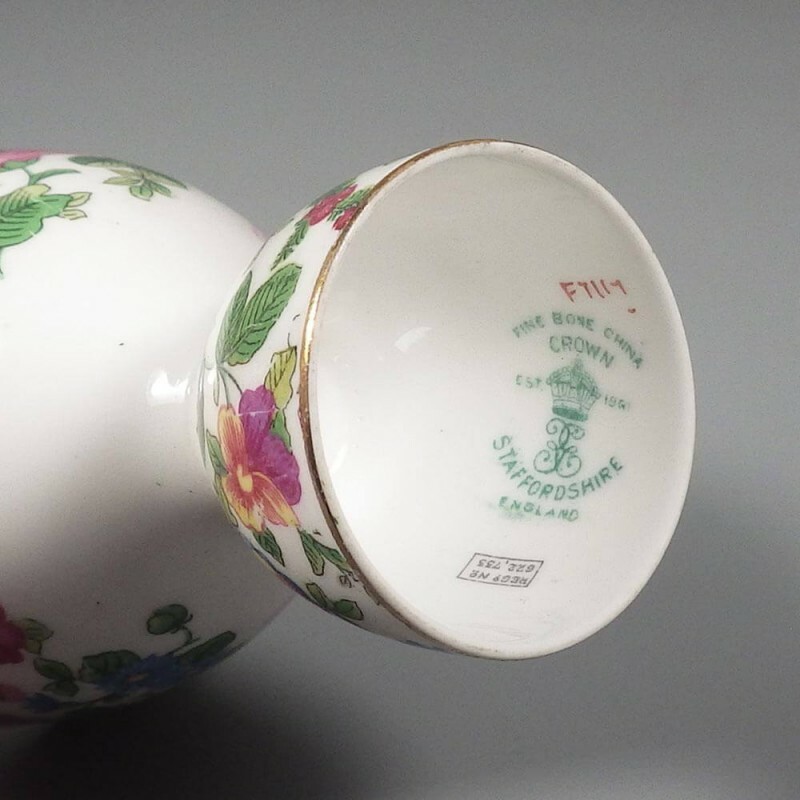 The base is also marked with a handwritten F7117 pink pattern line mark, along with a rectangle stamp registry design number of 622,733, which was issued in 1913. 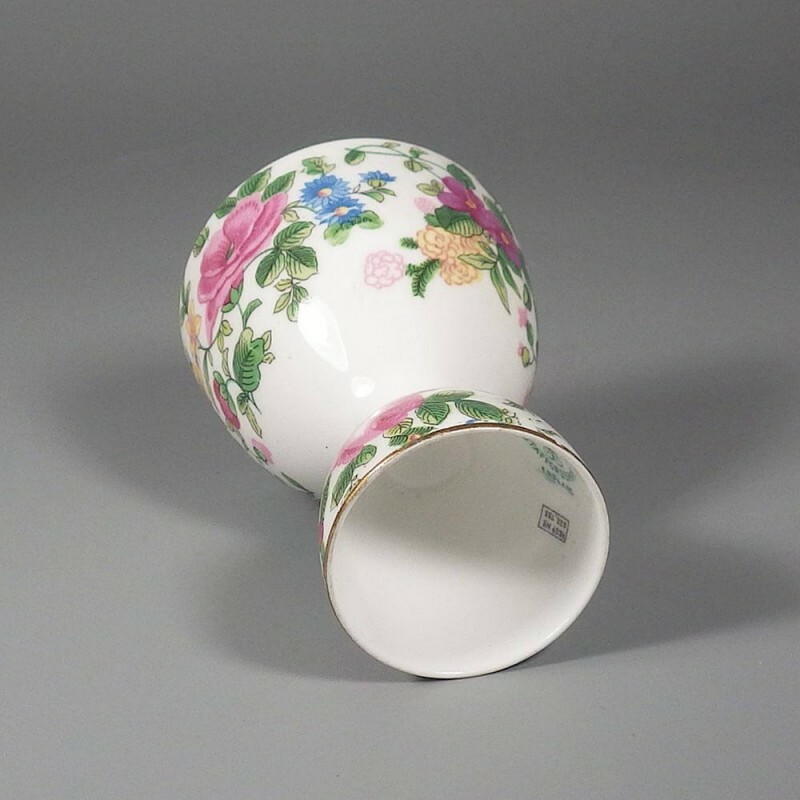 This registry design is presumed to relate to the egg cup form itself, as the Thousand Flowers pattern was apparently produced from mid-1960s to late 1970s (1965 to 1978). 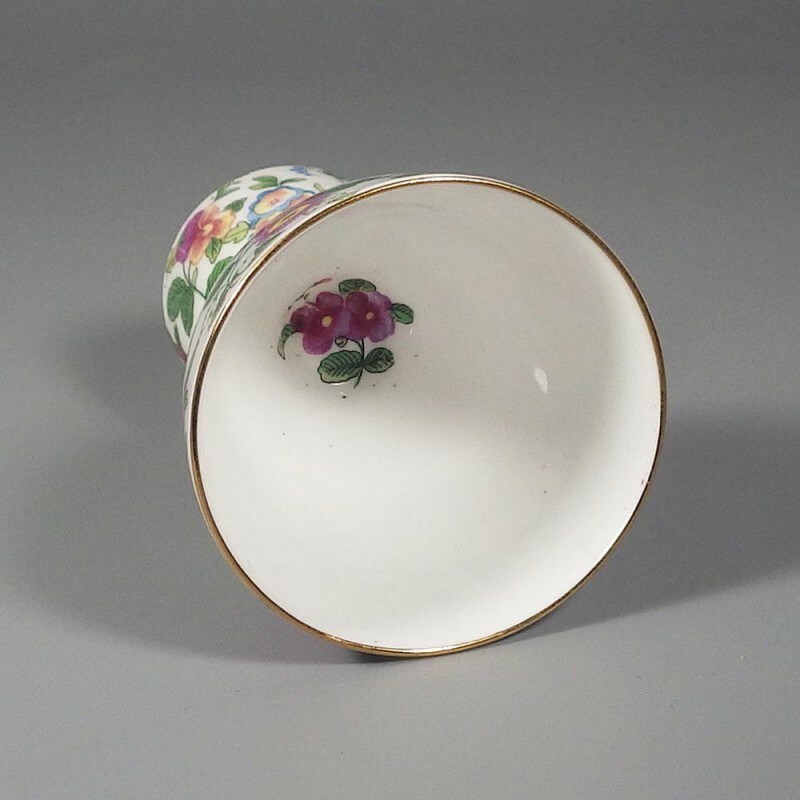 Standing 3-5/8 inch high with a rim diameter of 2-5/8 inch and a base diameter of 1-3/4 inch, this double egg cup is in great vintage condition, with no nicks, chips, or cracks and very little sign of wear.